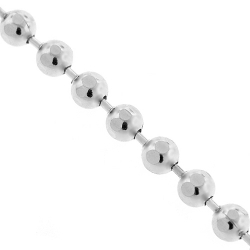 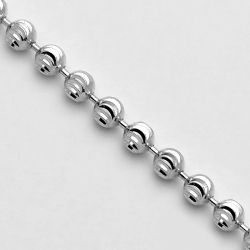 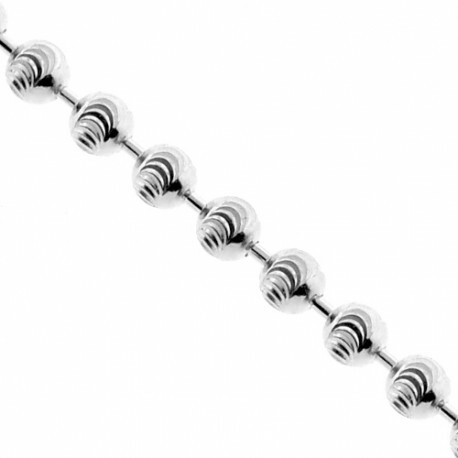 Our moon cut bead chain is sure to fit effortlessly into your wardrobe! 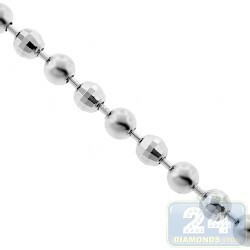 It is expertly made of 925 sterling silver, and covered with white rhodium that helps prevent tarnishing and gives a bright color. 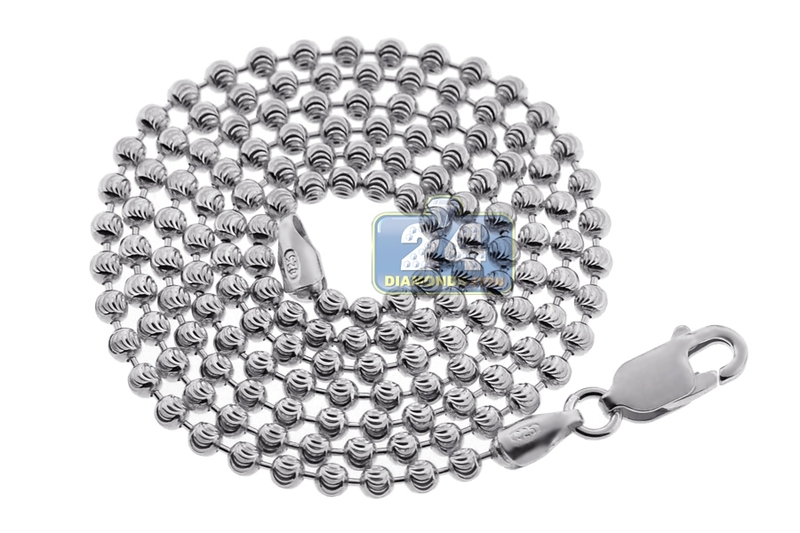 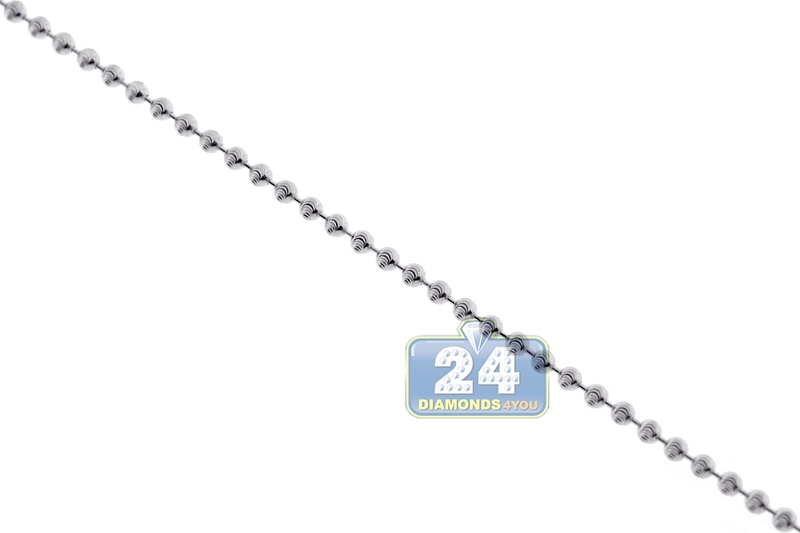 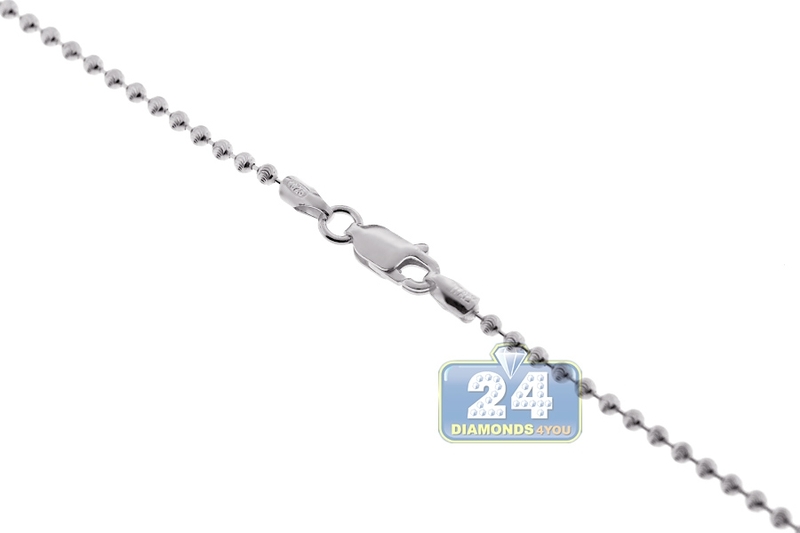 The necklace features 2.5 mm in width, available in 18, 20, 22, 24, 26, 28, 30 or 36 inches in length; and also secures with a safe lobster claw clasp. 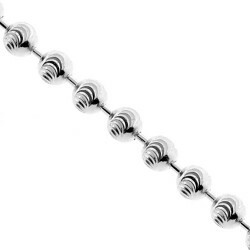 This striking army moon cut chain can be worn anytime, anywhere!